By glorifying or sanitizing war, U.S. officials and a complicit news media may insist they are shielding “the troops” from unfair criticism. But real democracy and simple human decency require that citizens know the full and often ugly truth, as Michael True notes in this review of Nick Turse’s Kill Anything That Moves. 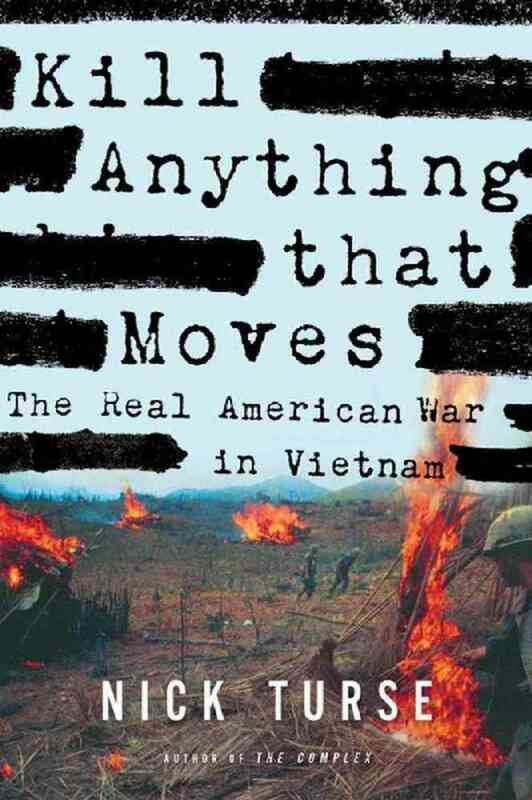 Turse’s readable, indispensable, and, yes, deeply disturbing book may be the most important among thousands of books about the Vietnam War. 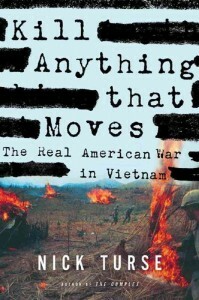 A major achievement is its explaining how and why “atrocities perpetrated by US soldiers have essentially vanished from public memory.” In authenticity and power, it compares favorably with earlier accounts, such as Tim O’Brien’s novel, The Things They Carried, and Bruce Weigl’s poems, Song of Napalm. 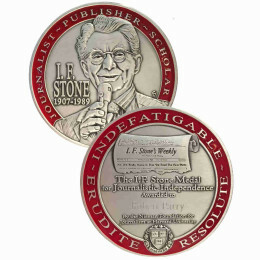 Titles of chapters of Turse’s book convey a general sense of the grim and tragic accounts of the war: “A System of Suffering,” “Overkill,” “A Litany of Atrocities,” and “Unbound Misery.” In the process, the author documents a commander’s standard operating procedure, including burying bad news, concealing violations of military law, and papering over miscarriages of justice. In a representative account of civilians victimized by the troops, a mother returning home came upon the bodies of her son and two others riddled with bullets. They had been tending the family ducks, while their mother was away for a brief period. Encouraged to raise the body count in this way, one soldier amassed an estimated 1,500 “enemy killed-in-action,” by planting Chinese communist grenades on bodies so that they would be counted as enemy dead. Reasonable estimates account for 3.8 million violent war deaths, combatant and civilian, according to reports by Harvard Medical School and an Institute for Health Metrics and Education report. An official 1995 Vietnamese government report estimated more than 3 million deaths, a million of them civilians. Civilian victims of the war included 8,000-16,000 South Vietnamese paraplegics, 30,000-60,000 South Vietnamese left blind, and 83,000 to 166,000 South Vietnamese amputees. These estimates do not include the tens of thousands of Americans and North Vietnamese dead and wounded. More recently, other government officials have re-branded or dispatched the Vietnam War to the dustbin of history. 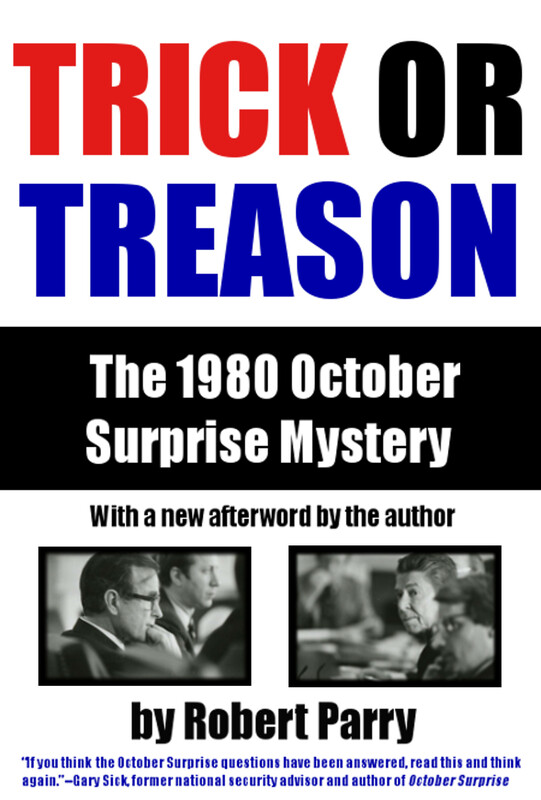 Their re-writing of history perpetuates misleading accounts by reporters and irresponsible editors who ignored or withheld essential information from the beginning of American involvement in 1965. An obvious answer to these questions might be that those responsible for U.S. foreign policy never met a war they didn’t like. In spite of that fact, as Andrew Bacevich said, the Pentagon hasn’t won a war since 1945. One wishes that every American citizen might read Kill Everything That Moves, and take to heart its account of a brutal, unnecessary war and the evil that we were responsible for. Sadly, we continue to be lied to about the full implications of U.S. foreign policy that undermine democratic governance. 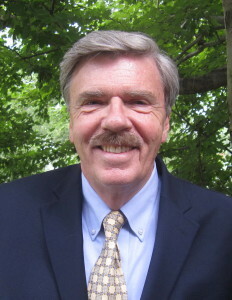 Michael True is emeritus professor, American literature, Peace, Conflict, and Nonviolence Studies, Assumption College, and is syndicated by PeaceVoice. ← Obama’s Missed Iranian Connection? I am currently reading Kill Anything that Moves. As a recent college graduate in International Affairs and Middle East Studies, I am shocked at the poor education I received. Nick Turse has done an excellent job uncovering the truth about war, and in particular the Vietnam war. The similarities between Vietnam and Iraq/Afghanistan are often cited, though I believe Turse’s book may shed more light on our current situation than many realize. The last paragraph in this excellent article sums it up nicely. America’s numerous needless wars are all about greed and based on the profound ignorance of so many Americans who still continue to see their country as one of the ‘good guys’. Something that has not been true since 1492.